MATERIAL: Mycelium leather grown from mushroom roots. Mycelium is a material grown from the root system of mushrooms. Living on for instance agricultural waste, the material can be grown in any desired shape. Mycotech’s material, called Mylea, was inspired by tempeh, a traditional Indonesian dish, which is made by combining white soy beans with fungus named Rhizopus oligosporus. According to an article on Materialdistrict.com the fungus’s mycelium binds the soybeans together and makes them solid. Rather than soy beans, however, the growth medium is agricultural waste for Mylea. Making leather costs a lot of water, money, CO2 and has to be dyed numerous times. 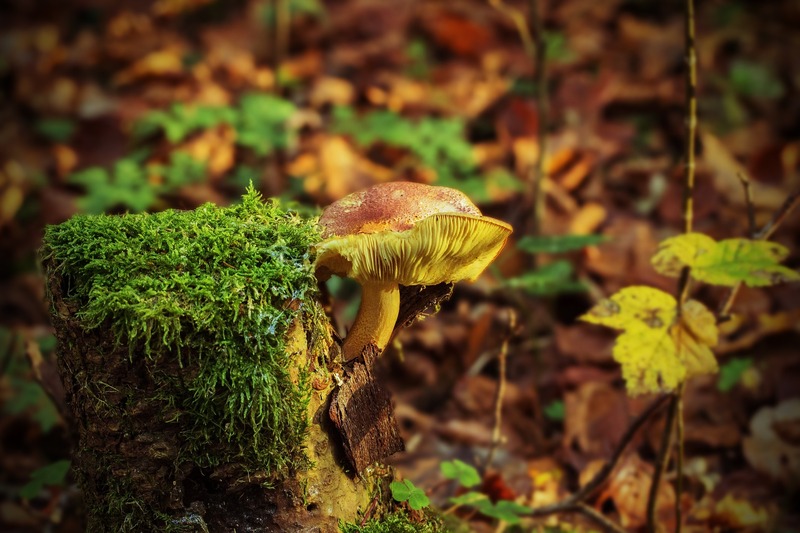 According to Mycotech, Mylea can absorb dye faster and better, resulting in cheaper production cost and more vibrant colours. Additionally, they only use natural dye extracted from leaf, roots, and even food waste to add colours to Mylea. The material only produces 0.7 kilograms of CO2, compared to 355.500 kilograms of CO2 for cow leather. The mushroom leather also costs a fraction of the water and time to grow. In their Kickstarter, Mycotech offers a wooden mushroom watch, a traveller’s journal with a Mylea cover, and a card wallet. Previously, the company developed a mycelium board material that uses no harmful chemicals as binder agents.